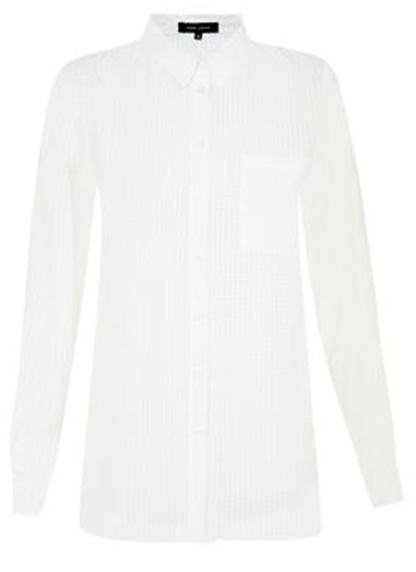 Today I am going to be talking about my current favourite fashion items for this Autumn season. I have been loving the Autumn/Winter trends that have been hitting the shops (particularly New Look which I don't often buy clothes from when I'm not at university) and have been really trying to incorporate these trends into my wardrobe. Tartan was the trend that really stood out for me in the shops and it seemed to mostly appear in skirts. New Look currently stock a massive variety of tartan or checked skirts but this Navy/Blue/Black/Red skirt stood out to me the most. 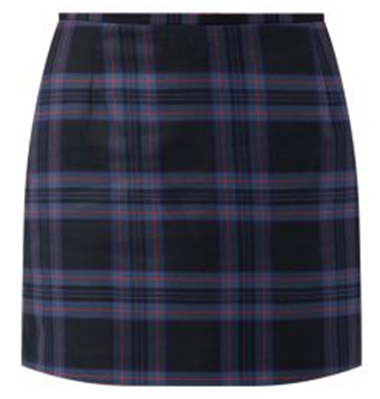 I find that tartan can sometimes appear too 'school uniform' like but I feel like the straight cut of this skirt balances it out. I wear this skirt with a plain top to add a bit of interest and with a pair of boots. The skirt costs £14.99 and it feels like it's made with a sturdy material so I think it will last for the next few autumn seasons! I had wanted a floppy head for years but unfortunately genetics left me with a big head (as in size) and thick hair. This has meant that I have never found a floppy hat that would fit my head and look nice. I saw this hat in H&M in the summer and couldn't believe that a) it fitted my head (and it was a medium!) and b) looked nice on me! 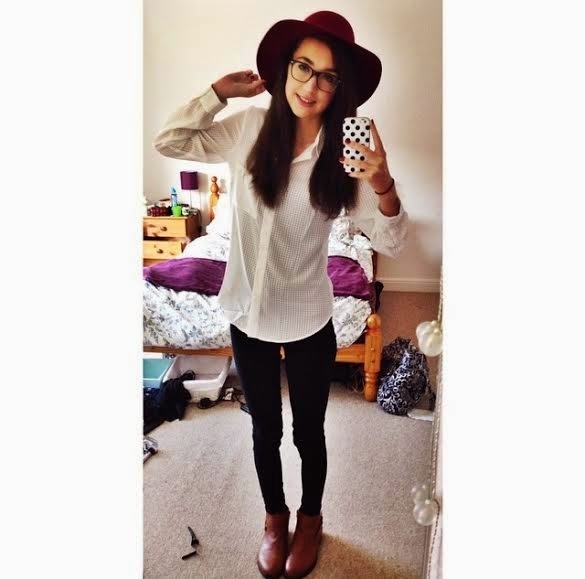 I also love the burgundy red colour of the hat and I definitely think it is a perfect autumnal colour. The hat is a wool material so if you do wear a hat like this - make sure you bring an umbrella with you if it rains as to not ruin the fabric. 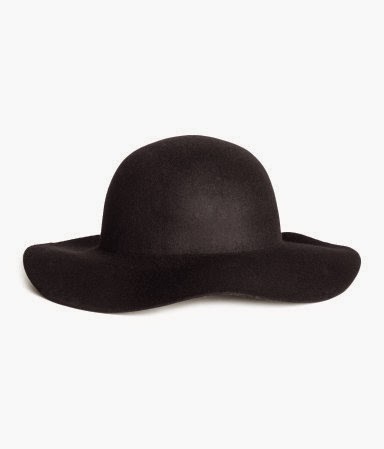 Unfortunately, I could only find the black version of this hat on the H&M website but you may still be able to find this colour in store. I own a lot of jumpers and it is no secret to anyone who knows me that I am addicted to H&M dresses and jumpers. So it is not a surprise that a H&M jumper has made it into these fashion faves. The jumper in particular is a gorgeous creamy white knitted fluffy jumper. It is cut slightly oversized and it is probably the most snuggly jumper I own - I even went back and bought it in the navy too! I love pairing these jumpers with jeans and leggings with a pair of boots to finish the look. They still had these jumpers in stock when I last went to H&M last week as I again cannot find them on the website but lots of stores are selling similar jumpers so you probably will be able to find one somewhere. I believe the jumpers are £14.99 each? So those are my current autumn fashion faves! I would love to hear (and possibly buy haha) what your current favourite fashion items are for the autumn moves so please leave a comment!